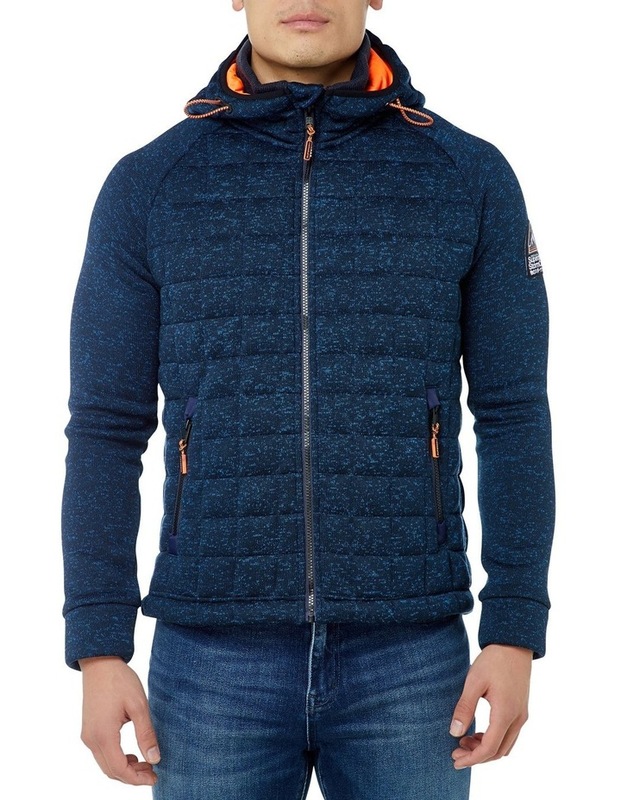 Superdry mens Storm quilted zip hoodie. 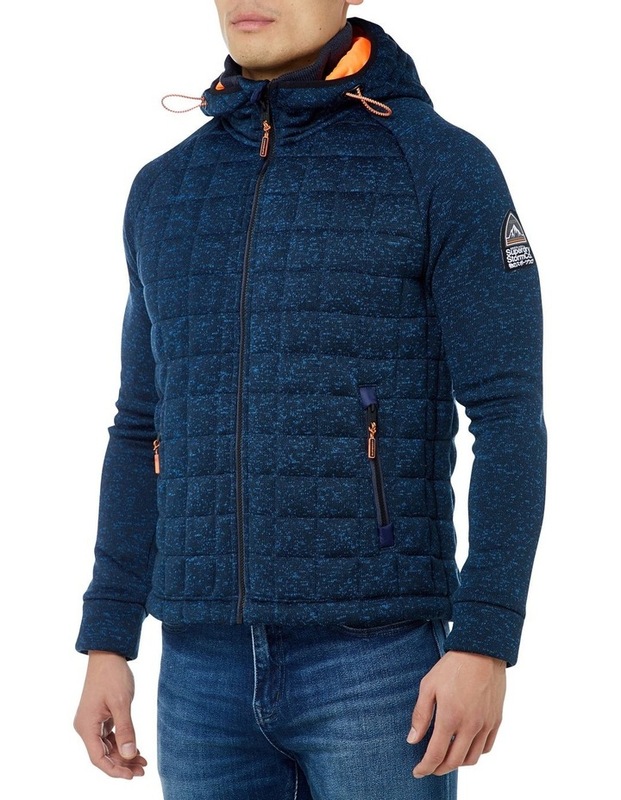 Inspired by Mountaineering gear, this zip hoodie features a high, double layer neckline, a bungee cord adjustable hood and a quilted body for extra warmth. 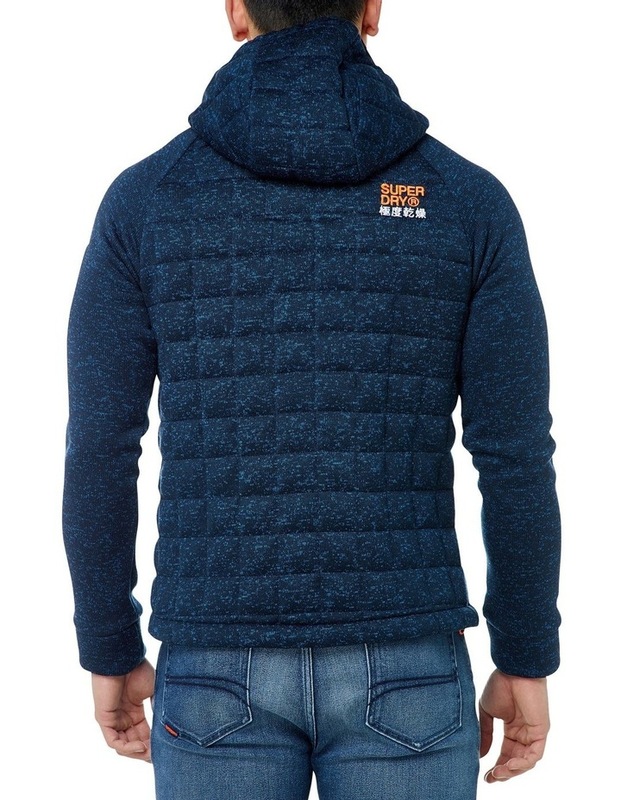 The hoodie also features two front zip fastened pockets, a bungee cord adjustable hem and a Superdry logo patch on the sleeve. The Storm quilted zip hoodie is finished with an embroidered Superdry logo on the back, and is the perfect layering piece for this season.